When I first started traveling to other countries in the 1970s, the conversation about the USA was always in a context of respect and even admiration—even when criticizing certain aspects. But for the last 10 years or so, I have noticed that the conversations are changing. Fewer people are envious of who we are and our way of life. More and more see us as recalcitrant, self-centered, parochial and unable to recover whatever it was that made us great in the post-WWII years. Most people across the globe have access to the same newspapers, the same media channels and the same websites that we do. The prevailing and unavoidable conclusion being touted from many of these sources: governance in the USA is a mess! Our population (what politicians of both political stripes love to refer to as ‘the American People’) seems to no longer be ‘the American People’. We are fragmented and becoming more and more entrenched in our partisan views. Congress and other legislative bodies seem to have moved from being forums for discourse and debate of ideas and policy to becoming marketplaces for political favors. More and more people are defending ‘entitlements’ without regard or concern for the society as a whole. We undermine our leaders, stymie the legislative process, and when all else fails, become litigious or look for technical loopholes. 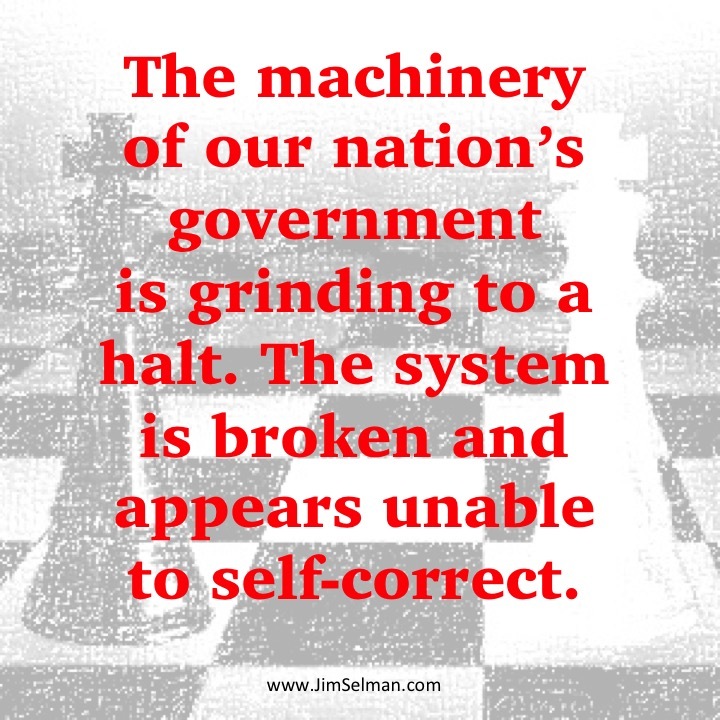 The machinery of our nation’s government is grinding to a halt. The system is broken and appears unable to self-correct. The tragedy of this is that the strength of American Constitutional Democracy has always been its ability to self-correct—to change the rules when something doesn’t work. Politics, once seen as a noble and respected profession, is now regarded as an increasingly corrupt and self-serving extension of organizations and individuals whose game is power for the sake of power at any cost. 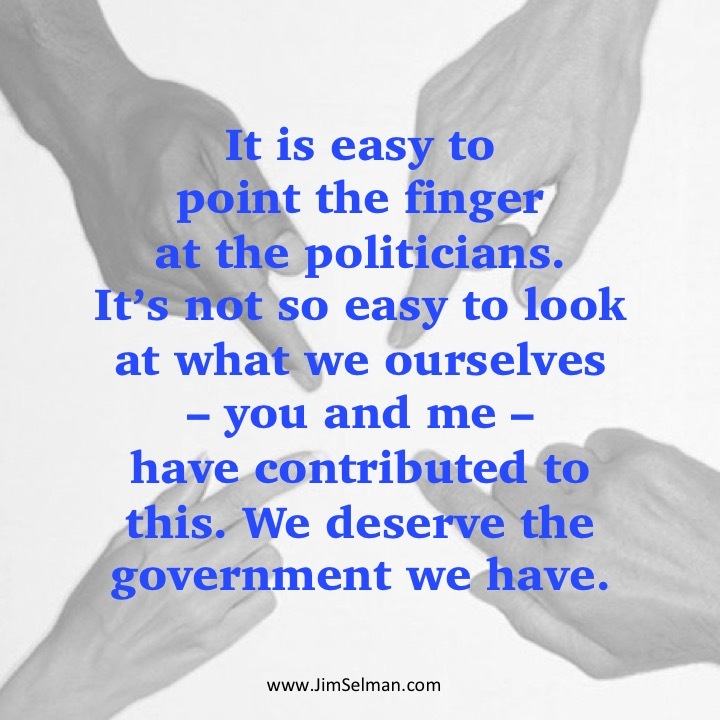 It is easy to point the finger at the politicians. 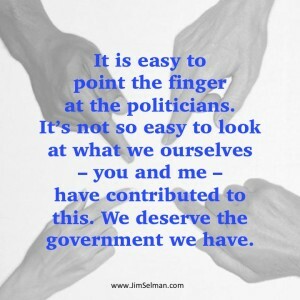 It’s not so easy to look at what we ourselves—you and me—have contributed to this. We deserve the government we have. Our Bill of Rights assures us of basic freedoms. But it also demands that each citizen be responsible for what makes those rights possible, that each citizen protect us from those who would destroy them. We have no right to complain if we don’t vote. And we have no right to complain if we engage in activities that can kill the underlying assumptions and principles underlying the Constitution and our nation. A case in point is the recent controversy over building a mosque near Ground Zero. 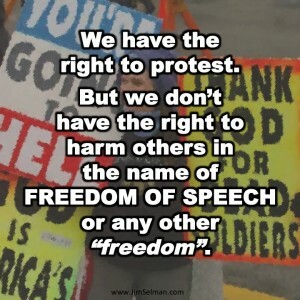 The First Amendment not only guarantees Congress will not create laws respecting religious establishments or the right to freely “exercise” religion, but also to gives individuals the right say what they think. It is legitimate to say, “I don’t think this mosque should happen”. But when we say that, we are also actively thwarting people’s legal right to practice their religion whenever and wherever they choose. In this case, the Mayor of New York and those responsible for issuing the necessary permits exercised real leadership and good judgment. They distinguished that 9/11 was not a religious event—it was a criminal terrorist action. Being responsible means ‘owning’ both the context of our nation—Democracy—and the structures and processes that make democracy work. We are being irresponsible when we stop trusting our judicial processes, when we threaten an ‘armed’ uprising, or when we conspire to limit others rights to the same freedoms we expect for ourselves. We have the right to protest. 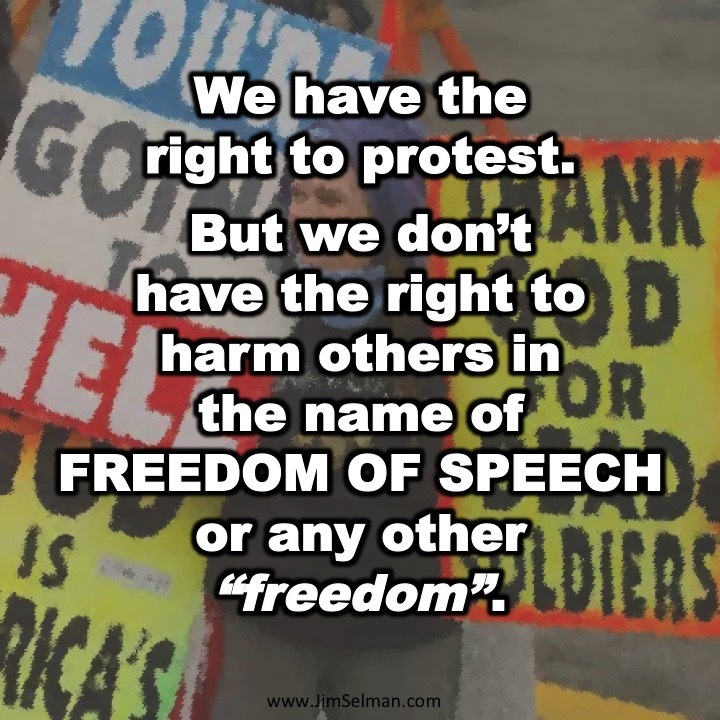 But we don’t have the right to harm others in the name of freedom of speech or any other ‘freedom’. If we don’t like some aspect of our government or if we determine it is no longer serving us, then we have the means to change it. The most direct access we have for expressing our responsibility is by voting. I encourage everyone, of both parties, to ‘just do it’. I will vote for whomever I think is the most inclusive and most committed to mending the rupture in our nation’s psyche and soul. And I will support our leaders even if I am simultaneously campaigning for change. People throughout the centuries—from Aesop to Patrick Henry—have exhorted that “United we stand, divided we fall.” Well, we are falling. If we want to stand again as a nation, then we need to stand together. We all need to stand for each other first—and then allow for our various points of view. © 2010 Jim Selman. All rights reserved. Previous PostDo we have an economic or a spiritual problem?Next PostWhat is your opinion…and why do we care?